The company that created the world’s first solid gold phone is back after ten years with a hand-crafted phone for Rs. 5 lakhs: The Goldvish Eclipse. 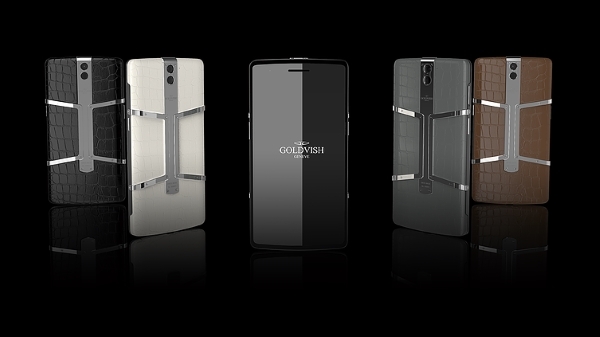 Since opening shop in 2003, Goldvish has been creating luxurious mobile phones that exude sophistication. Some of the world’s best individual luxury communication devices are created by this Swiss company. 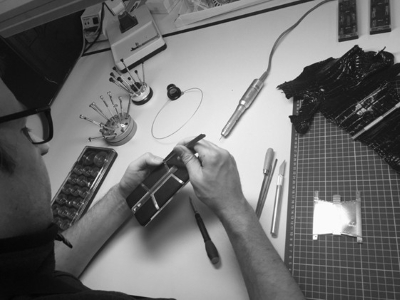 Their phones merge the four exclusive worlds of elite jewellery, haute couture, craftsmanship and technology. Ten years after their first phone – which was the world’s first solid gold phone – the company has released a hand-crafted masterpiece called Goldvish Eclipse. A team of designers at workshops in La-Chaux-de-Fonds, Switzerland, create the Goldvish Eclipse from scratch. Each material used is custom-made, because of which they are able to guarantee quality and secure genuine Swiss made certification. The phone is loaded with a Qualcomm Snapdragon™ processor, a scratch-resistant 5.5 inch capacitive touchscreen, 3GB of RAM, a standard memory of 64GB and a massive battery with 250 hours of standby time. The device also includes a high-tech encryption service that allows completely secure calls between two Goldvish phones. The Goldvish Eclipse is entirely customizable by customers. Therefore they may order their handset with 18ct. gold frames, pave diamond surfaces, gem-stones, a wide array of colours and finishes, genuine leathers and even personal engravings. Thus Goldvish’s second phone is equally exclusive as the first and also made with extreme precision and passion for luxury. Goldvish Eclipse is offered in a limited number of styles and its pricing begins from €6,800 (approx. Rs. 5 lakhs). Yet more styles and limited edition models are expected to hit the market later this year. The collection is offered in a limited number of pieces, probably in an endeavor to maintain the level of exclusivity. To get more information on this luxury handset please visit their website. Tagged Big Boys' Toys, Gadgets, LifeSpice, Luxury Phone, luxury smartphone. Bookmark the permalink.